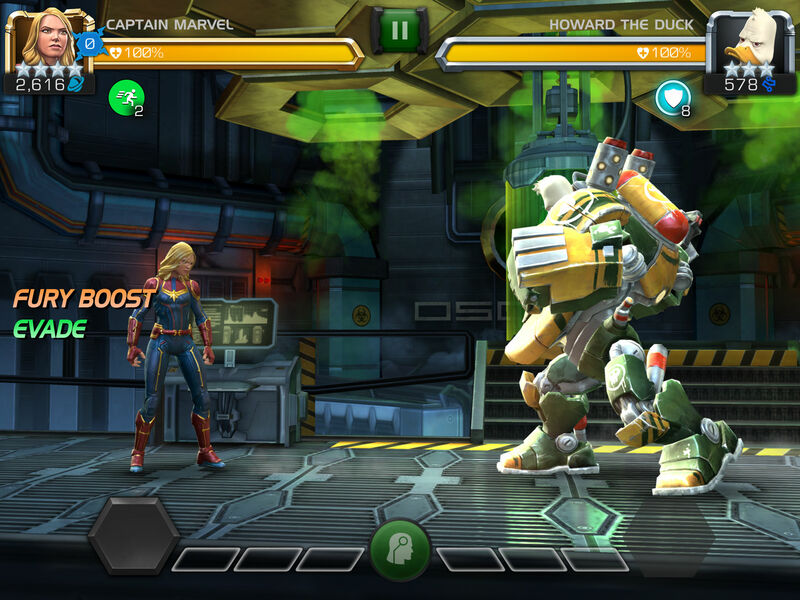 Whether you’ve been playing Marvel Contest of Champions (Free) religiously for several years or come and go from the fighting game, you likely already know that its developers keep it supplied with a steady stream of new characters. Fairly often, the latest champions are tied into a Marvel film or other big happening of some sort, so with Captain Marvel due in theaters soon, you probably shouldn’t need any help from the thinking face emoji to determine who is arriving in the game this March if you don’t already know. If you guessed Captain Marvel herself, Carol Danvers, you got it on the first try. 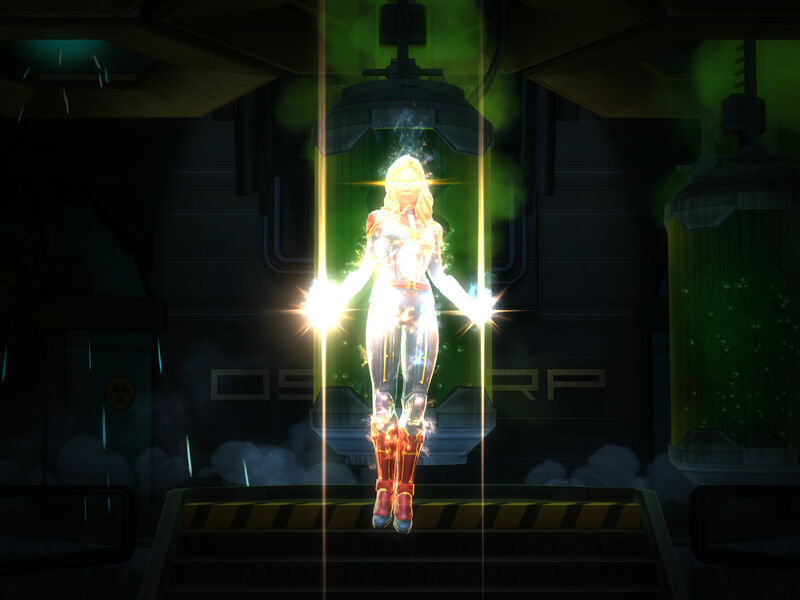 And yes, there are multiple versions of Carol already in the game and likely even on your roster, but this is a movie -influenced iteration, with her own set of abilities and an Event Quest that plays off both the core conceit of Marvel Contest of Champions and some classic Marvel characters to explain why there are so many Carols flying around. To further avoid confusion, the pre-existing Danvers is now Captain Marvel (Classic), and she’s wearing a mask while the new one is not. A small but important difference. In any case, the new Captain Marvel has a Poison Immunity passive, plus Super Strength and Energy Absorption, both very true to the character. But her most interesting abilities are Binary Ignition, which activates when she stores up enough Energy Charges and increases her Attack power and Armor Break percentage while allowing her to deal extra energy damage, and her Binary Durability signature ability. That one makes her temporarily indestructible and gives her a regeneration buff to boot. Fitting for Earth’s mightiest mortal. 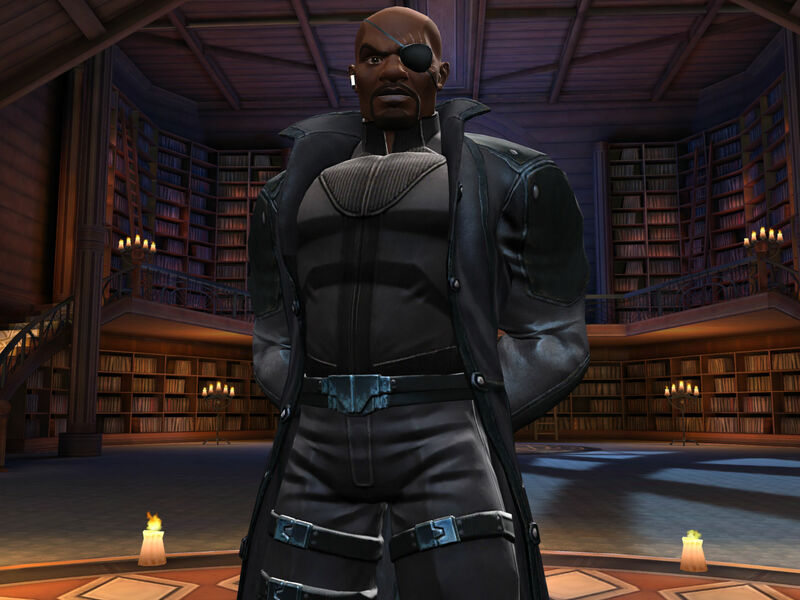 You can look for Captain Marvel the first full week of March, but joining her later in the month will be the man with the eyepatch himself, Nick Fury. 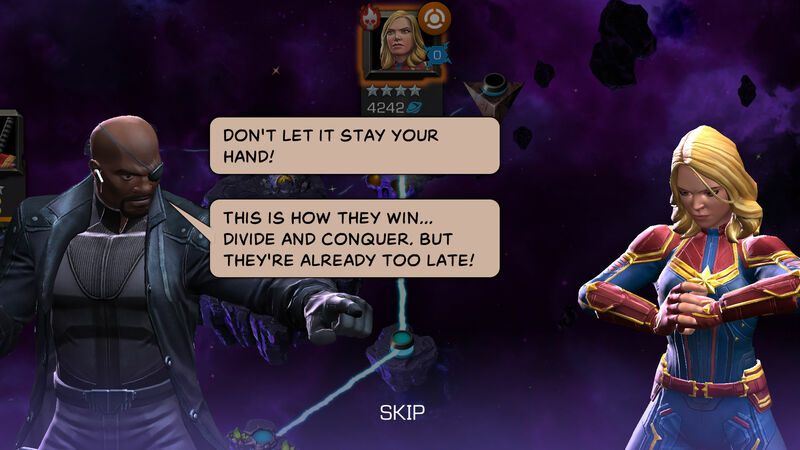 The SHIELD leader (sometimes, anyway) also plays a part in the Battlerealm Under Siege Event Quest, along with getting his own Nick Fury’s Recon Initiative quest line. Because you don’t become the top super spy without being able to get people to gather some of your intel for you. Comic fans will really appreciate Nick’s signature, Life Model Decoy. Think you’ve knocked Fury out? Nope, that’s simply his LMD, so he returns to full health along with a Fury’s Fury buff and Stun Immunity. Before you can cry out “OP!" you should know that the Infinity Formula only goes so far, and Nick begins to degenerate quickly until he is down to 30 percent health or less. It’s still a nifty trick that you’ll enjoy. Unless you’re playing against him, in which case obscenities are more likely to follow. Fury also has some nice-looking visual effects, like an energy shield in the shape of the SHIELD logo when he blocks. Plus he’s Nick Fury, darn it, which means he’s simply cooler and more in the know than you. 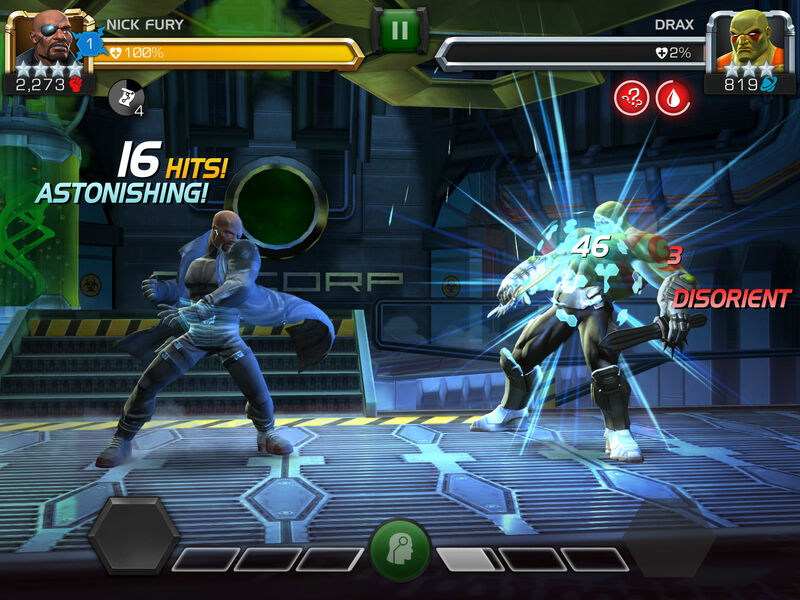 He’s slated to hit Marvel Contest of Champions on March 21. No word on Goose the Cat, but we can always dream.